Right Weight Fitting: The SL290 is engineered "Super Lite" - providing distance and control for any swing-type, even those players with the most aggressive tempos. Ultralite Technology: Saving 25 grams compared to the average consumer driver - primarily in the shaft and grip - the 290 helps players generate increased clubhead speeds of 2mph on average. Drive your ball to longer distances minus the strain with the Cleveland SL290 Ultralite Driver. Move to the newer club fitting and ultra-lightweight technologies that is becoming the norm in the world of golf today. What is the Cleveland SL290? A right weight fitting system ensures that you get the right weight for your play. The ultra-lightweight is compensated with a longer shaft for a faster ball speed and a greater distance. An ultralight graphite shaft (43 grams) is strong enough to take even the most aggressive of swings. A tour Miyazaki C.Kua shaft offers tour-proven flex options but without the weight. Equally impressive is the light Lamkin grip that reduces the static-weight of the club and lets you deliver powerful blows. Right way engineering for a well-balanced club. The Cleveland SL290 is a golf driver that is for the new age golfer who wants an ultra-lightweight option without a compromise on power. It’s a longer, lighter and a well-balanced club that will give you faster ball speeds and more yards per shot. 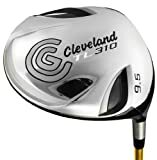 Every player’s needs are different and so Cleveland’s ultralight series of drivers come in three different weights to be comfortable for different players. Below we review the Cleveland ﻿﻿S﻿﻿L290 with an in-depth analysis of features and details on performance. This is just the driver you will need if you are an amateur or a beginner because it is so light. Simply aim and swing to get consistently longer distances with every shot. But the real reason for the distance achieved is due to the length. The longer shaft length results in a club that is longer than traditional clubs and an obvious increase in the drive length. Traditional drivers are at least a good 20 or 25 grams heavier. Though the difference might seem like nothing more than the weight of a cookie, you will feel it as soon as you grip the stick.The naming is straightforward too. So an SL290 means its weight is 290 grams. Simple! Despite being lighter than traditional heads, it delivers a great speed at impact and is forgiving. The weight removed is compensated with a longer shaft to give you the same power of a much heavier traditional driver. Making the club lightweight is not just about reducing the overall weight. The three components of the club viz. the clubhead, shaft and the grip need to be balanced right. This is simply called by Cleveland as Right way engineering. 1. Club head–Even though a lighter club can increase your swing speed, only a heavy head can give your shots enough power to drive them far. Hence the weight of the SL290 head is according to the traditionally weighted club heads. 2. The shaft –To bring down the overall weight graphite shafts are used in place of traditional steel ones. Also, the decrease in weight should not affect the required flex. Therefore the engineering of this shaft has been done to deliver the required bending and torsion. So you can swing your head in a controlled, consistent and stable fashion throughout the game. 3. The grip –Yes! You do need a good grip for a good shot, but even the grip’s weight can affect the club’s weight and the swing weight. The lighter the grip, the more powerful your shots are. The SL290 comes with a feather light Lamkin grip that weighs only 39 grams. The material is also not only durable but comes with a good amount of tackiness and offers shock absorption. With a driver as solid as the SL290 you can be guaranteed that the trajectory is great too. A lower loft means a trajectory that gives you more distance and with a much lower spin. It comes in three loft sizes of 9, 10.5 and 12 degrees to suit different needs. Heavier shafts sure are stable and so are shorter ones. But the SL290 breaks both of these pre-requisites. The shaft is a lot lighter than even their lightweight counterparts like TL310 and XL270. You will feel completely in control of your hits and what's even better, you'll be consistent with the results too. Sometimes the club weight, shaft length, head weight and other specs are just numbers. When you pick up this club and swing it, you'll instantly see how light and easy it feels. This makes it ideal for senior players. The overall balance in construction gives your hands an excellent feedback that you will fall in love with. You are never going back to heavy clubs! The 460 cc driver has been designed with a tear-drop shaped back which gives you more power but with the good old traditional looks. Adding to its great looks is the attractive gold shaft and a clean no-alignment aid head. All in all, the SL290 scores high on the looks department too. You don’t have to be spot on with your swing every time. The great thing about this driver is that you can repeat your shots precisely every time even if you are slightly off with your swing. 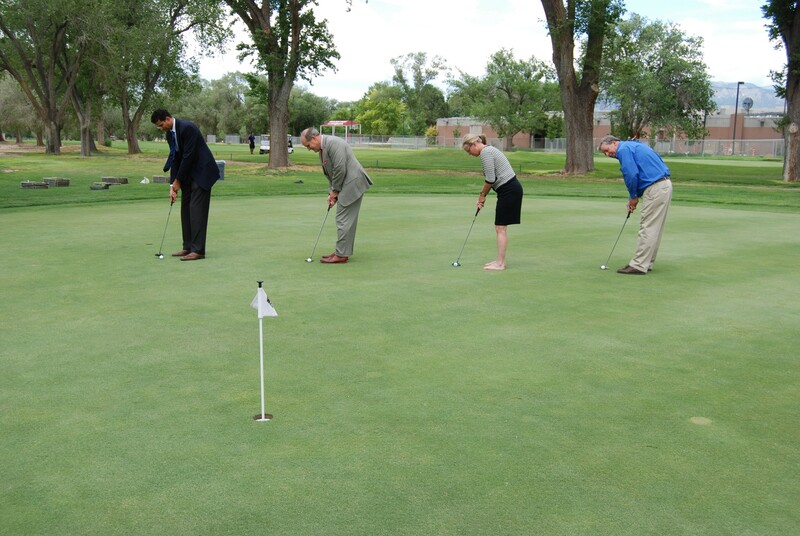 Repeatability simply improves the confidence in your game. A great combination of the shaft length and a matching head weight makes this possible. Swing weight is quite simply how heavy your club feels when you swing it, regardless of its actual weight. When you have different clubs in your bag, you should ensure that they have the same swing weight if you want to have a good speed and stability. The SL290 has a swingweight of D5 which is within the traditional range for a superior performance. Whether you are right-handed or a left handed player, there are enough options to choose from. The loft comes in three different angles for right hand and two for left-hand. There are also two flex options viz., stiff and regular to suit different players. The tear-shaped head is made of titanium while the shaft is made of high quality graphite. Despite its light weight and greater length, the shaft is strong enough to give you unbeatable speed and distance without a compromise on your swing. The grip too is made of durable Lamkin material for a long-lasting performance. Coming from the house of Cleveland which has a strong presence in PGA tours and other such tours throughout the world, its quality doesn’t need any introduction. The price is a steal for its great features such as a lightweight body, large head, light shaft weight, longer shaft, light grip and a stable construction. Let us see how the Cleveland SL290 fares in comparison with some of its competitors. The TL310 might be 20 grams heavier than the SL290, but the shaft is shorter. So it naturally gives you more control than the SL290. It also has a smaller clubhead at 440cc than the SL290 which has a large 460 cc head. The face of the SL290, especially the one with the 9 degree loft can be bit difficult to use especially if you don’t have a good swing speed. In this case the XL 270 will be a better choice as it has a much closed face. However, when it comes to the shaft length, the XL 270 is much longer than the SL290 and the much shorter TL310. At 46.25 inches the XL270 is half an inch longer than the SL290 and will need some getting used to if you are a shorter-height player. The DST comes with the same 460 cc head as the SL290 and the same three loft options of 9, 10.5 and 12 degrees. It even has the same shaft length but is heavier by a mere 4 grams. The DST also has a swing weight of only D4 as opposed to D5 for SL290. A disadvantage, if you choose the DST is that it is only available in a right handed option. Don’t even think twice if you want more power to drive your ball further every single time in your game of golf. Lighter and longer clubs are the way forward. So before your traditional club becomes outdated, pick up one these feather light drivers that will pack the necessary power into your ball with every strike even if you cannot swing too hard. With their great looks, they will make heads turn as you see your ball reach the longest and the most satisfying distance that you have always wanted. Go get one yourself!